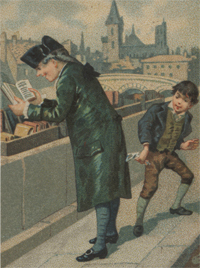 Many if not most rare book libraries have a long and complicated history of acquisitions that reflects the varied interests of collectors and benefactors, of librarians and scholars, and by happenstance and serendipity. It is not just the individual titles that carry information; the histories of the collections do so as well and it is often in exploring these histories that new understandings are born. How, then, are we to understand and explore these diverse and, indeed, disparate collections? 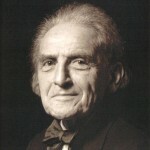 Furthermore, does the increasing use of digital technologies alter the way we need to discovery and to understand them? The purpose of this one-day symposium is to begin this process of investigating the full and complex potential of these collections and the ways to do so. This has to be a joint enterprise of scholars and librarians; it is only by working together that we can ask the questions and tell the stories that are to be found in rare book and special collection libraries. Ski Fun. Lithograph. Issued by the Province of Quebec Tourist Bureau. 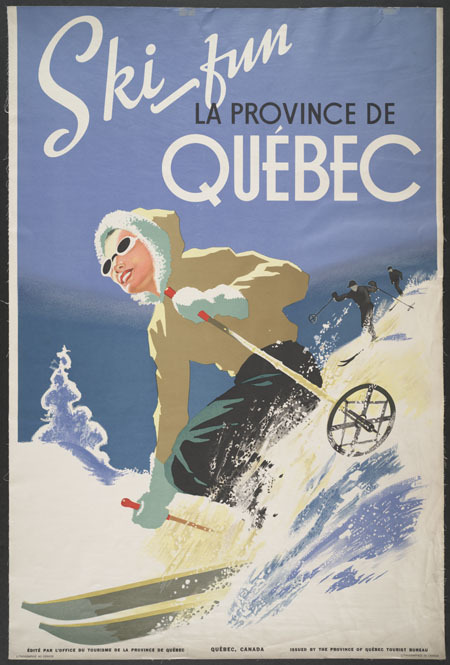 This ski poster represents just one of more than a hundred posters promoting Canadian tourism dating back to the early 20th century. Posters such as these were issued by various provincial agencies or by shipping and railroad companies; all are undoubtedly vibrant works of graphic design. Thanks to a recent project initiated by the BAnQ, we now know more about the poster holdings in Rare Books and Special Collections. In fact, McGill Library reported 1,600 Canadian posters in total, 900 of which have Quebec content. McGill Library was just one of eighty-three institutional repositories that participated in this collaborative project to record posters printed and published in Quebec or having content relating to Quebec. The result was an online inventory launched in October 2012, produced by the BANQ : Répertoire des collections institutionnelles d’affiches d’intérêt québécois. If you are interested in learning more, Professor Marc H. Choko of the Ecole de Design de l’UQAM, is the principal scholar dealing with the content and design of the Canadian poster and author of several publications, two of which are : L’affiche au Québec (2002); Posters of the Canadian Pacific (2004 with David L. Jones).